People from every walk of life, be it the music world or sports field, have opted to wear dreadlocks (matted coils of hair). As a result, this way of wearing hair is becoming increasingly socially acceptable. Even those with very straight hair have developed methods to dread lock their hair. 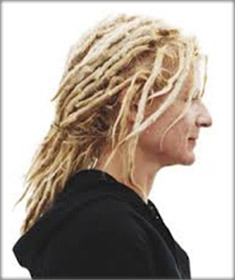 Most dreadlocks are usually intentionally formed. Because of the variety of different hair textures, various methods are used to encourage the formation of locks, such as backcombing (teasing). Additionally, leaving long hair to grow naturally and not brushing or cutting the hair will encourage it to tangle together as it grows, leading to twisted, matted ropes of hair known as dreadlocks. The latter method is typically referred to as the ‘neglect’, ‘natural’, ‘organic’, or ‘freeform’ method. 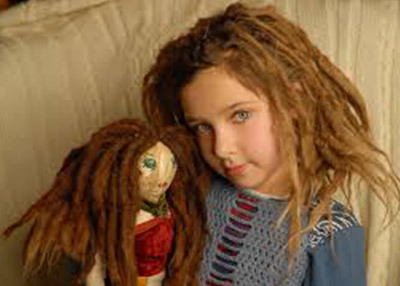 People who wear dreadlocks are sharing the variety of reasons for which they are being drawn to wearing dreadlocks such as : in defiance of western standards of beauty, to maintain a racial or cultural connection, as a celebration of freedom, as a fashion statement, as a unique expression of their individuality, for religious reasons, to signify an attitude, etc. In reality, negative forces influence people to choose the dreadlocks hairstyle by giving them thoughts, as we saw above, which will encourage people to wear dreadlocks. The reasons for the formation of dreadlocks are associated with spiritual distress. It basically results in the creation of a negative energy center outside the body of a human being through the dreadlocks. The person who gets the dreadlocks done has 5% more chance of being attacked by negative energies. 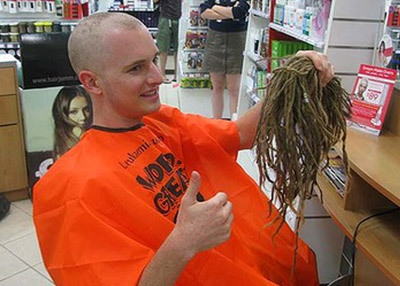 That is why it is advisable not to get dreadlocks. One of our seekers was attacked by negative energies when her hair got spontaneously matted. 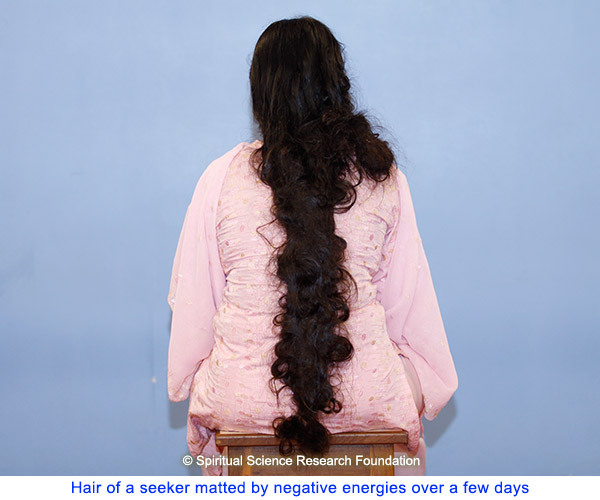 Explanation of the above phenomenon of the development of spontaneously matted hair in a seeker: Mantriks had begun the process of forming dreadlocks on this lady seeker by attacking her hair for 7-8 months. Due to the dreadlocks, she experienced negative thinking, no ability to perform even daily chores, behaving like a robot, feeling like committing suicide, etc. After washing her hair, it again started getting tangled, developing several knots and within 6-7 hrs, her hair which reaches up to her knees tangled right up to her ears. Due to spiritual practice and spiritual healing remedies, she could overcome the problem of dreadlocks within a few months. From this we can see how negative energies like to create dreadlocks to affect people negatively and generate their black energy centers within the dreadlocks of the person and thus why people should not choose to get their hair into dreadlocks. Migraine : Sometimes migraines are caused by dreadlocks that are pulling at the scalp at weird angles. The weight of the hair along with how tightly it has been twisted causes a starin on the scalp that in turn causes headaches. Sleep problems : Sleeping with dreadlocks can be uncomfortable as the rope like dreads are not as comfortable as a pillow is. Some try to overcome this problem by tying their hair on top of their heads – if their dreads are long enough to tie. Loss of time : Washing hair and drying it takes a long time – sometimes hours have to be invested in the task. Mildew : Due to hair not drying fast, if one goes to sleep with wet hair mildew and mold can grow there which further attracts negative energies to the person. Smell : Sometimes due to hair being wet, others complain of a ‘wet dog’ smell or a musty aroma from the person with dreadlocks. Scalp infections: Due to washing being so tedious people resort to washing their hair after very long intervals and this can cause itching due to dandruff. Loss of hair : When the dreads get tight or heavy, then there is breakage of the the dreadlock from the roots. So there are bald patches and thining of the hair. Pain : Due to the extra weight and pulling about, some people take painkillers at the hair dryer stage after a headbath. Shaving head : If the whole experience is very uncomfortable and if undoing the dreads and the tangles seems too tedious, then people have to resign to having their heads shaved bald. Even if one cuts hair to get rid of dreadlocks, the mantriks create a negative energy center in the hair of the person who used to wear dreadlocks again in the course of time. 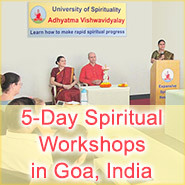 Doing intense spiritual practice is the only way to get rid of any negative energies which create such problems. People with dreadlocks have to bear with the mostly negative reactions of people. Low self esteem could result from hair falling off due to dreadlocks, hair having an unpleasant odour or the need to shave the hair off and be bald. Depression could result from the pain due to dreadlocks or other negative aspects of this hairstyle. Children have to bear the burden of their parents hairstyle choices for them from a very young age. Later in life they may also chose to have such a hairstyle which will affect them adversely for a prolonged period of time. Negative energies get attracted to dreadlocks since such an unkempt hairstyle is matted and twisted and emits raja (positive and negative) – tama(negative) vibrations. The negative energy centers created in the dreadlocks function at both, gross and subtle levels. At a subtle (spiritual) level, it is much more. 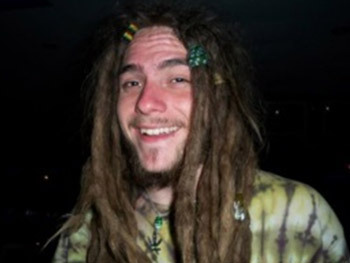 Dreadlocks subtly pollute the external environment. Wherever the person with dreadlocks goes, the environment develops pressure in the atmosphere and also a bad subtle smell. Thus, wherever the person lives, tension develops in the home because the whole house gets spiritually polluted due to a person wearing dreadlocks. 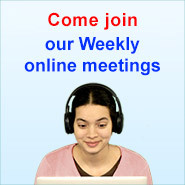 *For onlookers, the above reading is for the duration of 10 min. In general, for those who are on a spiritual path, it is spiritually more beneficial to keep long hair and not to cut it, so seekers on some spiritual paths keep their hair and even beards long. On some other spiritual paths, it is not so as growing hair is not required for that path. Ascetics don’t get affected by negative energies due to wearing dreadlocks, as they have a lot of positive energy due to their intense spiritual practice. We can do one subtle experiment below. Here we have two photos. 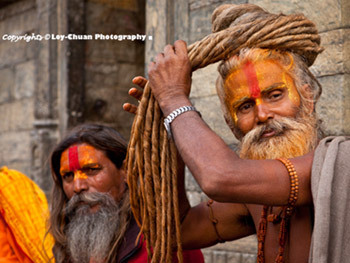 One photo is of an ordinary person with dreadlocks and the other is of one ascetic (sadhu) with dreadlocks. Readers can see how they feel when looking at photo A versus photo B. Then you can read the answer below. One feels pleasant and peaceful when looking at photo B and unpleasant when looking at photo A. Also, when looking at photo B one’s gaze goes to the face of the sadhu as it emits Bliss. People who are not affected by negative energy will naturally be attracted to anything that emits Blissful vibrations. Wearing dreadlocks has an overall negative impact on the person at a physical, psychological and spiritual level. Negative energies get attracted to the dreadlocks hairstyle and adversely affect those who wear them as well as others around them. Due to above reasons it is best not to wear dreadlocks. To be able to decipher right from wrong and if something or someone is emitting pleasant or distressing vibrations, spiritual practice is needed. When one does spiritual practice as per the 6 basic principles, one will be able to choose a lifestyle devoid of negative energy influences and lead a sattvik (positive) life.